BIDSOPT Video, Interstitial, Rich Media, Banner advertising network details. 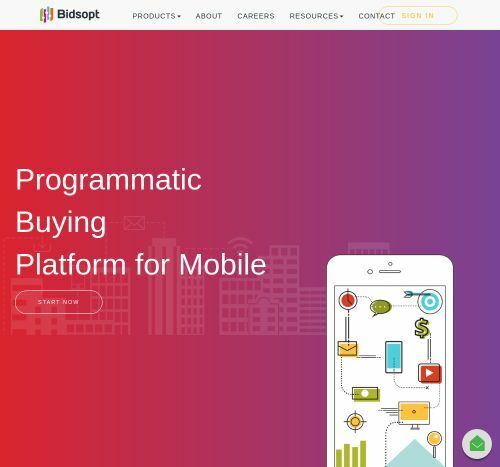 Bidsopt is a mobile advertising platform launched in 2014 which combines security with advertising solutions in order to achieve durable and effective campaigns. Their partnerships with advertising leaders help them to reach a top demand and global supply. Their mission is to satisfy their clients by using innovative, engaging techniques and by combining Mobile DSP, SSP, and Video Advertising. Bidsopt uses one of the most advanced Mobile DSP Platform that allows the management of multiple ad exchanges and data exchanges. With their Supply Side Platform, web publishers can fully control their advertising inventory and receive revenue. Check the reviews on Affbank about Bidsopt and for any details regarding their Target Audience, Pricing Models and Advertising Formats, reach the Information section.